There were two extra games on the fixture list last week, which is not uncommon in MLS. There was D.C.-Montreal on Tuesday, and Colorado-Seattle on Wednesday. So, when first constructing your fantasy lineup, you had the opportunity to pick several players with a double matchweek in a few spots. However, Mother Nature decided to throw a spanner into the works. An April snowstorm out west forced the postponement of the Colorado-Seattle game -- until September! So long, double matchweek for the Rapids and Sounders. Now, this didn't necessarily mean you had to drastically change your lineup. For instance, I stuck with Seattle's Nicolas Lodeiro. He'd been one of the top Tier 1 midfielders so far and, thus, was a solid choice even with only one game. However, I did make one change related to Lodeiro based on the postponement. Instead of captaining him, I gave the armband to Carlos Vela, my Tier 1 forward. Vela had put up much bigger numbers through the first six weeks of the season, so with both of my options now playing only once, it made sense to switch. Boy, was I glad I made that decision. Vela had yet another huge game in LAFC's 2-0 win over Cincinnati -- one goal, one assist, seven shots and six chances created, leading to 33.8 fantasy points. Lodeiro, on the other hand, finished with a season-low 6.7 points in Seattle's 3-2 win over Toronto. He did have an assist, but only one shot and two chances created. Speaking of LAFC and Seattle, they both remain unbeaten and are the top two teams in the league, with 19 and 16 points, respectively. LAFC has won four games in a row, and 6-of-7 overall, with their only blemish being a 2-2 draw at NYCFC. The Sounders have played one less game, and only dropped points in a scoreless draw at Vancouver. Vela now has eight goals on the season, two more than any other player. He's also the league-leader in assists (5), as well as shots (41) and chances created (27). He has taken 15 more shots and created seven more chances than anyone else in MLS. Vela is averaging 28.6 points per game. To put that into perspective, he's on par with Lionel Messi, currently averaging 27.7 points per game in La Liga. Eden Hazard, tops in the Premier League, is averaging only 17.4 points per game. However, Vela is not the only player off to a hot start in MLS. 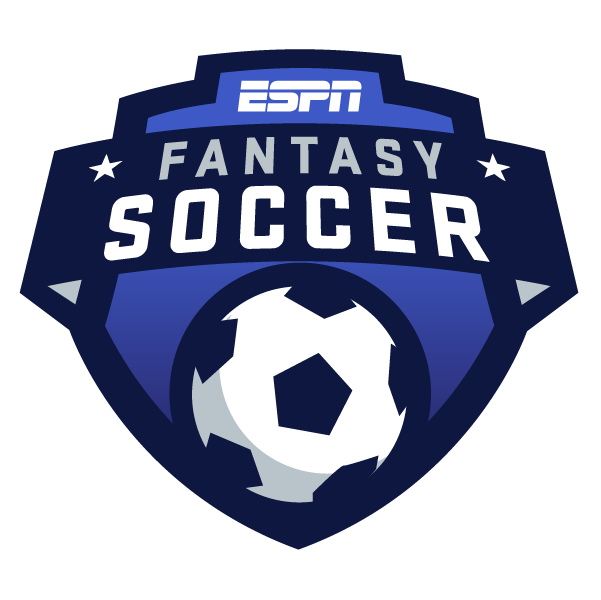 Diego Rossi is one of two players with six goals, and is second in total fantasy points, averaging 19.2 per game. The problem with Rossi is that he's teammates with Vela, and stuck in the same fantasy tier. Rossi didn't score a goal against Cincinnati, but he did take five shots and had four chances created. Zlatan Ibrahimovic is the other player with six goals already, following a brace in the LA Galaxy's 2-0 win over Philadelphia. Ibrahimovic has only played in four games so far, three fewer than Vela and Rossi, making his goal tally all the more impressive. He's not the all-around player Vela is (Ibrahimovic has only five chances created on the season), but he's still averaging 24.1 points per game, and is certainly a viable alternative to Vela when the Galaxy have an easier matchup than LAFC. That's not the case this coming week, because we've got another extra game to account for -- and it features LAFC. The Supporters' Shield leaders are scheduled to play the winless Whitecaps in Vancouver on Wednesday. BC Place has a roof, so even if the weather resembles that of Westeros, this game won't be postponed as a result. LAFC's second game of the week is a top-of-the-table clash with the Sounders on Sunday. That's must-see TV if you're an MLS fan. Given the extra game, Vela is practically a no-brainer as your Tier 1 forward and captain this week. (I'll share the rest of my Matchweek 8 picks with you on Tuesday.) Still, don't just switch off completely after building your lineup. Vancouver-LAFC may not be snowed out, but there's always a chance the manager will rest a key player for one of two games in a double matchweek. There's no way Bob Bradley will sit Vela against Seattle, but I wouldn't be shocked if Vela gets a break in Vancouver. That would make your decision a little more interesting, especially given that the Sounders have only conceded five goals in six games. Check out the LAFC starting lineup (or my Twitter feed) on Wednesday, just to be safe. The truth is, you can't take anything for granted when it comes to fantasy soccer.